There are many things that cost India a place in the final but keeping Mithali Raj out isn’t one of them. Six months before the start of the Women’s World T20, not many would’ve considered the Indian team good enough to have a shot at the title. Placed in a group alongside Australia and New Zealand, only a miracle would take them into the semi-final. This was the situation after they were outplayed in the T20I Tri-series at home and lost in the T20I edition of the Asia Cup for the first time ever. But things changed dramatically since head coach Ramesh Powar took over from Tushar Arothe. Under Powar’s stint, India injected youngsters into the side which laid the road to improving their tactical game, especially in the T20I format. They have made some brave decisions such as keeping Mithali Raj out of the equation that too at a big tournament like the World T20. India made it to the semi-final of the tournament for the first time in four editions after knocking out New Zealand and upsetting Australia in the group stage. However, their journey came to an end when they lost to England by eight wickets in the semis. The semi-final against England began with Mithali’s absence from the playing XI being the centre point of discussion. The experts, critics and fans called the move of not picking Mithali a foolish decision by Powar & Co. as India collapsed from 88/2 to 112/10. But they didn’t remember the wins against New Zealand and Australia that were achieved without Mithali facing a single delivery. In the opening game, India slated Mithali at No.7 in the batting order but a century from the captain Harmanpreet Kaur took them to 194/5. Against Australia, India apparently “rested” the senior pro but won the game by 48 runs after scoring 167/8. Both the wins were India’s first in three attempts against the respective opponents at the World T20s. Harmanpreet said that they wanted to stick to their “winning combination” which looks like a decision taken in the team’s interest. India never defeated England in five meetings at the WT20 before this game. Given the team’s strategy to have young batters at the top to capitalize on the fielding restrictions, India could have slotted their ODI captain in the middle-order. This could have helped the team add 15-20 more runs on a tricky pitch which might as well have been a winning total. Mithali has experience in her hand of playing under lights and the pitch would’ve suited her style. However, this is also an estimation that she would succeed in any given role. A look at her T20I career numbers suggests that the three opponents she struggled against were indeed New Zealand, Australia and England. Mithali has a career average of 37.42 in the T20I format but England (27.07), New Zealand (22.16) and Australia (17.81) are the only teams where she averages less than 39. Her scores in the three T20I wins against England between 2006 and 2018 read: 28, 8 and 6. 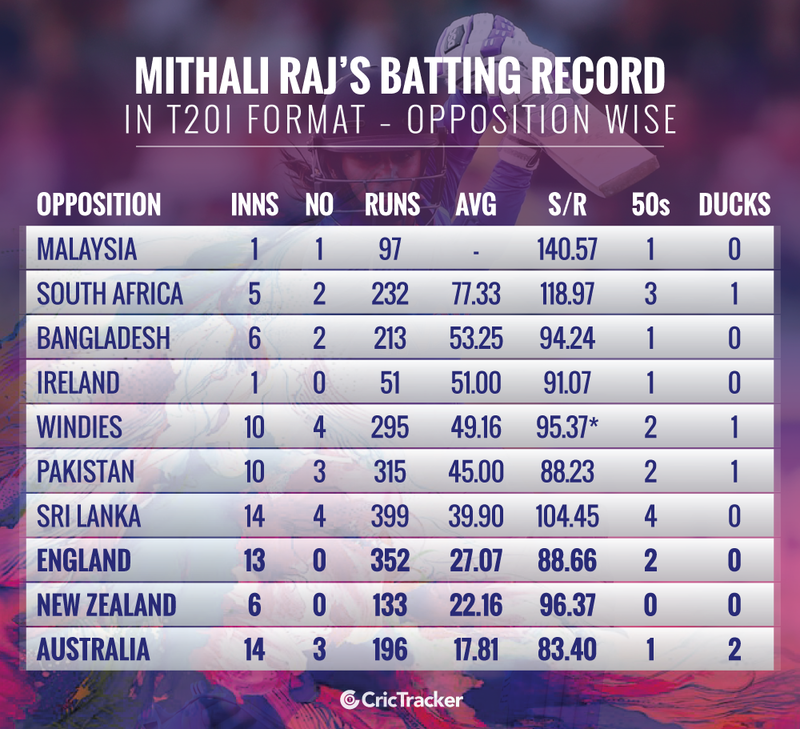 In addition to her old-fashioned approach in this format, this record can be a reason why the management didn’t fancy Mithali in the matches against these three opponents in the WT20 and let her open against Pakistan and Ireland. “Sometimes it works, sometimes it doesn’t. One game doesn’t decide whether we are a good team or a bad team. We have a very young team and it was a learning curve for us,” said skipper Harmanpreet after the game. And she was right as had India not collapsed against England, the move of keeping Mithali out would have been hailed. Instead, Powar and Harmanpreet were at the receiving end of immense criticism. 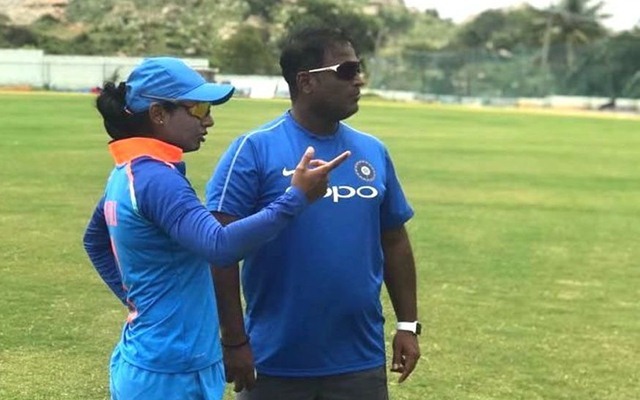 In fact, had they allowed Taniya Bhatia to open the innings against Pakistan and Ireland as well, she could have gained enough confidence and experience to face better teams. This could have helped her score better than a 19-ball 11 in the big game. There are many things that cost India a place in the final but keeping Mithali Raj out isn’t one of them. The team must be hailed for taking bold decisions and for taking the right steps toward a better future rather than looking at just short-term goals. Bat first or bowl first? India, who elected to bat first, probably aimed a bit too high on a slow surface and thus blipped at the wrong juncture. They played all their four matches of the group stage in Guyana while England played in St Lucia, which helped spinners. This served England in adapting to the conditions in Antigua which was no different from St Lucia. This is why England looked at ease in this game compared to India. In reality, it wouldn’t really have mattered had England batted first or chased. Instead of putting pressure on England to set them a target, India took it on themselves and crumbled. Had India elected to bowl first, they could have been chasing something around 130-140 at best and planned the chase accordingly. In fact, this would have been an ideal situation for someone like Mithali to create an impact. With an anchor, India would have had better chances of making history. The tactics that actually cost India the semi-final were their bowling lines and field placements. The diminutive possibility of defending 112 diminished when Natalie Sciver and Amy Jones started to build a partnership. 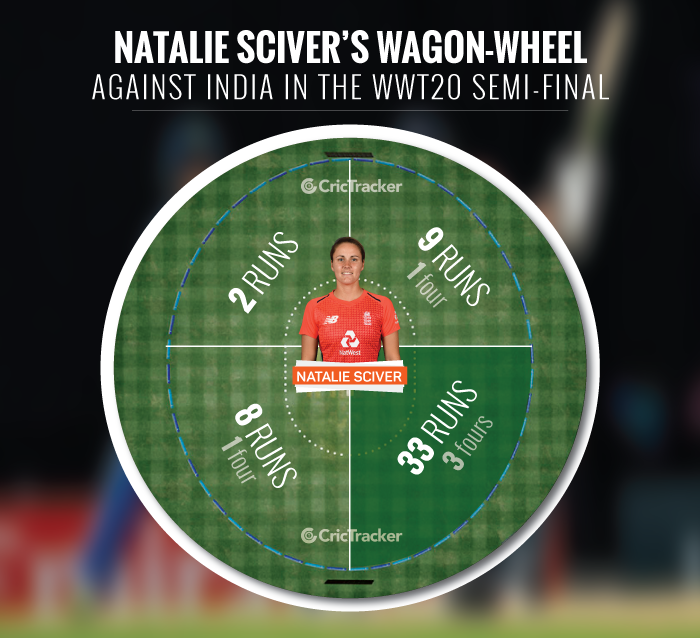 Sciver, who is notably good at playing on the on-side, was fed off-stump line with empty leg-side field by the Indian spinners. The all-rounder usually moves across in the crease to create room and score on the leg-side. By bowling these lines, India helped Sciver bat without any trouble. To top this up, India didn’t even have proper protection in the mid-wicket region. As a result, both Sciver and Jones scored most of their runs between square leg and long-on. The duo kept rotating the strike and ensured that the required rate never crept over six. Even the fielders who were stationed in that region allowed them to pick a couple regularly. Reading the player and situation better, they should have placed their best fielders in the “Sciver Zone” and have easily reduced the easy runs to put the pressure back on the opposition. This shows how unaware and underprepared the team management was with their plans against Sciver & Co. At the same time, skipper Harmanpreet failed to alter her plans according to the turn of events. As these things do make a critical difference in the T20 format, India failed miserably and expectedly lost the game.